I was never a Chinese take-out person. Instead, I opted for pizza. Or a Philly Cheesesteak. But in my pre-vegan days growing up in Philadelphia, anytime I found myself forced to be a part of a Chinese take-out order, my choice was always Beef and Broccoli. Faced with a package of frozen Gardein Beefless Tips and no desire to make stew as the back of the package suggested, last Sunday I decided to revisit those days of my past. I got out the wok and whipped up a super quick Beef and Broccoli Stir-Fry. The thing about this stir-fry is — as it is with most stir-frys — you probably have just about everything you need to make it already in your home. It’s a last-minute, easy, tasty meal. If you’re like me and often find yourself accommodating both pure veggies and omnivores, this dish is incredibly easy to make suitable for everyone: You can make it pure vegetarian with Gardein Beefless Tips or seitan, or you can use beef. It’s entirely up to you. 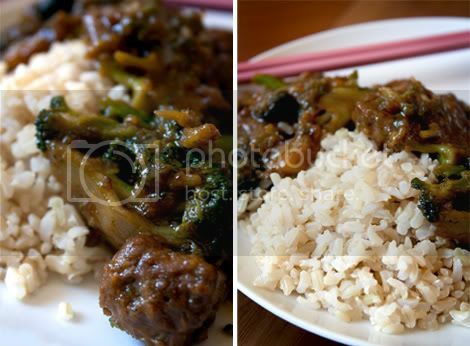 Before I list the Beef and Broccoli Stir-Fry ingredients and recipe, I wanted to give you all a sneak preview of some upcoming features and recipes that’ll be popping up on KLB within the next few weeks. Last Saturday I was lucky enough to spend a good part of the day getting to know local chef and two-time Chopped champion Cody Utzman a little better at his latest Greenpoint, Brooklyn neighborhood venture, Cafe Royal. Cody was nice enough to let the KLB crew come and photograph him for an upcoming interview. At the time we met, Cody was finishing his application to star on Top Chef. We wish him luck! com. I’ll take on the project of veganizing it for you, and post the final recipe on the blog. 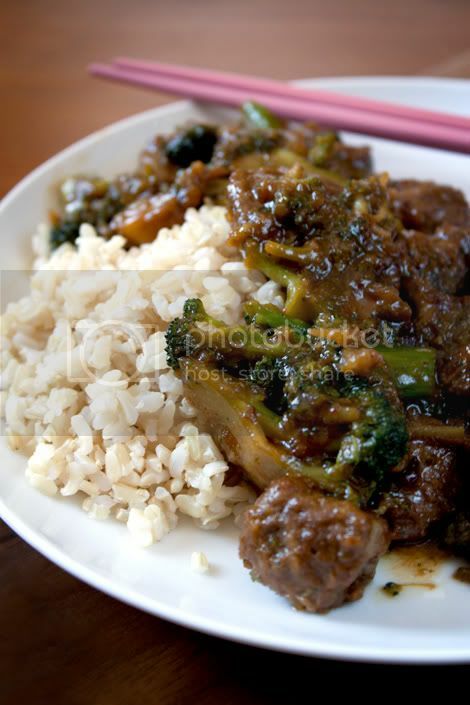 As for the Beef and Broccoli, the recipe is below. The verdict is still out on the Beefless Tips. I used them just as they were out of the package, but would consider slicing them in half or into small strips, and I might even prefer to try seitan in this recipe next time. To start: In a small bowl, combine 2 tablespoons cornstarch, 2 tablespoons water and garlic powder. Stir until smooth. Add Beefless Tips and toss. In another small bowl, combine tamari, brown sugar, ginger and remaining cornstarch and water. Stir until smooth; set aside. 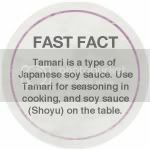 In a large skillet or wok over medium-high heat, stir-fry Beefless Tips in 1 tablespoon oil until they reach desired doneness; remove from wok, set aside in a small bowl and cover to keep warm. Next: Stir-fry broccoli and onion in remaining oil for 4-5 minutes. Return Beefless Tips to pan. Add the tamari mixture to the pan. Cook and stir for 2 minutes. Delicious! Made it tonight and my husband loved it. We grew cayenne peppers in our garden and I chopped one up and added it towards the end with the onion and broccoli. Used 1 tsp. Splenda brown sugar and 1 tsp. white sugar bc it's all I had in the pantry. Thanks! This was so good!! I replaced the frozen broccoli with three cups of fresh broccoli florets and two cups chopped carrots, and only used 1 Tbsp soy sauce (in place of the tamari), since I prefer it as a lighter flavoring. Also, I used soba noobles instead of the rice, and didn't add any onion (didn't see it in the ingredients). Thank you for sharing the recipe, I really can't believe how simple and delicious this is! This was great. Granted I used different veggies (edamame, red bell pepper, thinly sliced carrots) and had to use dried ginger instead of fresh (I know, I know), but it was still a wonderful sauce for the Gardein. I also used only 1 tbsp of sugar because I couldn't bring myself to use 2 whole tbsp for only 2.5 servings of Gardein, but it was still delicious! in touch, e-mail me at kitchenlaboheme [at] gmail [dot] com. All photographs, graphics and written text on this site are © Alyssa Yeager, unless otherwise noted. Photography for Sweeties New York Pastry Co. © Nathan Sayers. Photos, graphics and graphic layouts may not be taken from this blog and used elsewhere. Written material may not be duplicated, published or re-written without permission. All rights reserved. If you have questions regarding content usage, please email Alyssa. If you would like to license my copyrighted photographs to use in your publication/on your website or blog, or hire me for a freelance photography or writing assignment, please email kitchenlaboheme [at] gmail [dot] com.